Even if you’ve only spent a few hours researching SEO, you’ll come to the same conclusion as someone whose been in the industry for years: the world of Internet Marketing is going above and beyond SEO. This might make you think that every strategy you heard about last year is now null and void. Well, many are. But one strategy has stuck around and just about any white hate SEO agency will be happy it did: keywords! Without keywords, where would our dear search engines users be? Having years of industry experience behind me, I can honestly say that many clients know they need some sort of keyword strategy, yet they are almost always surprised with the fact that keyword strategy involves research. But you simply can’t make a strong plan of attack without the proper research. But what exactly goes into keyword research, you might ask? For starters, a good Internet Marketer will research not only how to bring your website traffic, but how to bring your website the right kind of traffic. For example, let’s say you have a business that sells tea. From the get-go, you know that “tea” should be one of your top keywords. But unless you are Lipton or Tazo, that might be a hard keyword to rank for. Instead, it’s a better strategy to focus on Long Tail Keywords like “gourmet blended green tea” and “organic loose leaf black tea.” These types of searches make up 70% of all searches, leaving Short Keyword search (ie: tea) as only 30%. The explanation behind such behavior is simple, too. When you search for something generic, like “tea,” you’re not ready to buy. You, the user, are doing your research. As you get more familiar with teas and begin to narrow down your searches to long tail keywords like “organic highly caffeinated black teas,” then you’re much, much closer to make a purchase. Clearly, search engine users know what they’re looking for. Therefore, customizing your keyword list for Long Tail Keywords can not only give you an edge on the competition but it can also help you find the right customers. 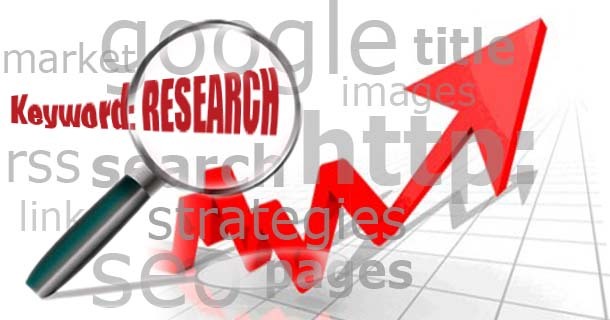 Keyword research is useful for many facets of Internet Marketing. This is why any SEO agency worth their salt will spend an extensive amount of time on the keyword research phase. It’s not to drain your patience or your finances, it’s to make sure that any and all work they do moving forward is exact, precise, and highly optimized. SEOs can never guarantee anything (though sometimes we wish we could) but thorough keyword research will get us damn close. First and foremost, all those keywords are a great starting point for content. From website content to social media posts, you want to use keywords that speak to search engines about what you do and speak to consumers about how well you do it. Back to our tea example, if you don’t mention the word “tea” or “blended green tea” or “international tea delivery,” then neither search engines nor consumers will be interested in your copy. Keywords are also immensely important for PPC campaigns. AdWords is all about keywords, and not only that, but again, the right keywords. Without knowing what your target audience is searching for, your ads will never find them and they will never find your ads. Also, don’t forget to use keywords in meta tags. While they no longer count towards ranking factors, meta tags can still sell your website to a potential visitor/consumer. Use those highly targeted long tail keywords in meta descriptions, title tags, and alt image tags and you’ll give your company even more opportunities to convert potential customers. Your grandparents were right when they told you “Measure twice, cut once” or “A stitch in time saves nine.” Research really is the single most important part of an SEO strategy because it can help you hone in on your market, identify new opportunities, and attract the right kind of traffic. I encourage you to take a look at your own campaigns and see what kind of opportunities you’ve been missing; there’s always something that’s sure to surprise you! About Author: Gina Vinnitsky is a blogger for RumbleLink, an Internet Marketing company. When she’s not blogging or updating the RumbleLink Facebook page, she spends her time staying on top of the latest trends in the wild world of SEO.